It's the most wonderful time of the year – whether you're treating yourself or looking for the perfect gift for someone else, we've got you covered. 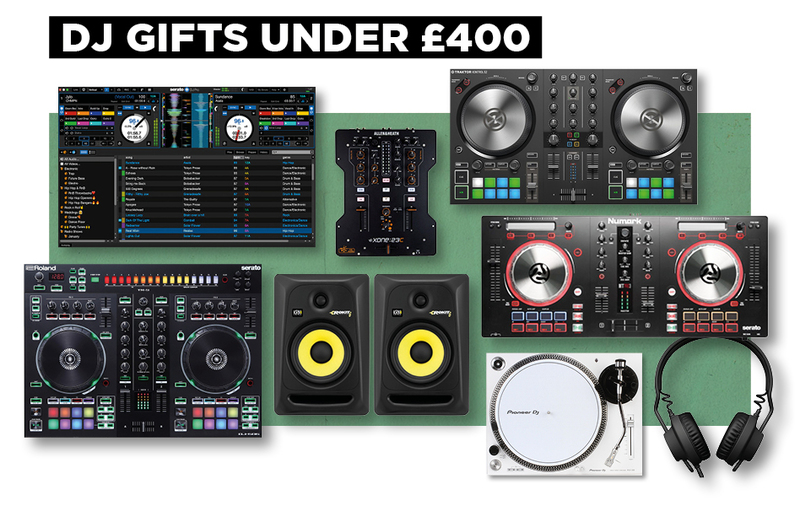 From £6 to over £10k, this is the ultimate gift guide for DJs and producers. Dig in. The Evermix MixBox 2 turns any phone into a recorder with phono input on one end and a Lightening cable USB on the other. The app even lets you upload straight to Mixcloud, SoundCloud and other social sites. It's also useful for quickly digitising vinyl. A WYSIWYG type DJ controller – won't be filling the booths of superclubs any time soon but a functional unit for mixing on the go, or whipping out at after parties. Pioneer DJ's entry point into the HDJ range are a quality, well-built headphone, with extendable cable and high quality sound. They also fold down to make them nice and portable. You can never have enough headphones, right? It's 7am, the sun is coming up, but this little strobe will keep the party going for less than a few cans of Red Stripe. Protect your well-earned wares with Decksavers super sturdy, custom-sized covers for all types of DJ and studio equipment. Not just for venues and clubs, these bad boys will keep your hardware looking brand new for years. If you've ever forgotten a USB stick in a CDJ, well, this won't help you there. But, it will make sure they're well looked after when you're sober enough to remember to take them home. It's also got a little pouch for you to keep a headphone adapter, though you'll probably lose that too won't you? Deck out your decks with these Defected slipmats, as well as Classic and the various other sub labels. 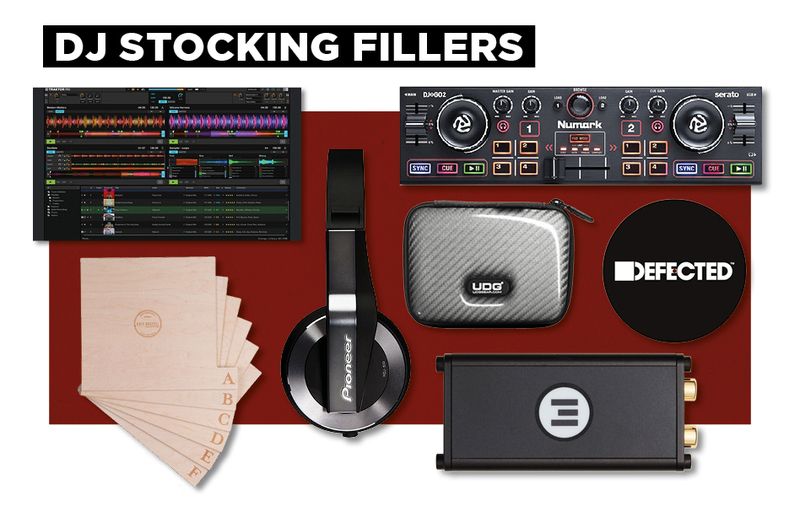 In fact, the whole Defected store has plenty of fun stocking fillers for any dance music fan. Glitterbox fan, anyone? Whether it's as a spare or an upgrade, you can never go wrong with a set of Concordes from Ortofon. The MKIIs announced earlier this year are a durable, high-quality option for any style of music. Keep your records dust and static free with this handy brush. Perfect for the Discogs addict in your life. Native Instruments' ultra-popular DJ software finally got a major update this year, and with it came a welcome price drop. Pick it up now for well under £100. Keep your collection in easy-to-find shape with these handy alphabetic cards – whether its by label, genre, artist or track is up to you. The putrid musk of the afterparty is easily avoided with this scented candle, specifically designed to wind down into post-disco decadence. Moog have long reigned as one of the coolest companies in music, largely because their synths and effects boxes are bloody great. Be the envy of the lad at the tills in Aldi with their classy Bag for Life. Even if you've already got a MIDI keyboard, the LPK25 is such a handy thing to have around for sticking in a bag for a plane or train, or just bashing out some basslines on the couch. The action isn't as bad as other similar sized keyboards neither. The Haynes annual used to run the UK and will no doubt reign again when sweet Brexit becomes a reality. Once you're bored of canned food, try building this mini synth for some candle-lit choral comfort. As AA batteries are now considered currency, you may struggle to turn it on, but it's a few hours wasted eh? Teenage Engineering are some of Sweden's finest creatives, their OP-1 synth still on the shopping list of thousands of producers and music-makers around the world. 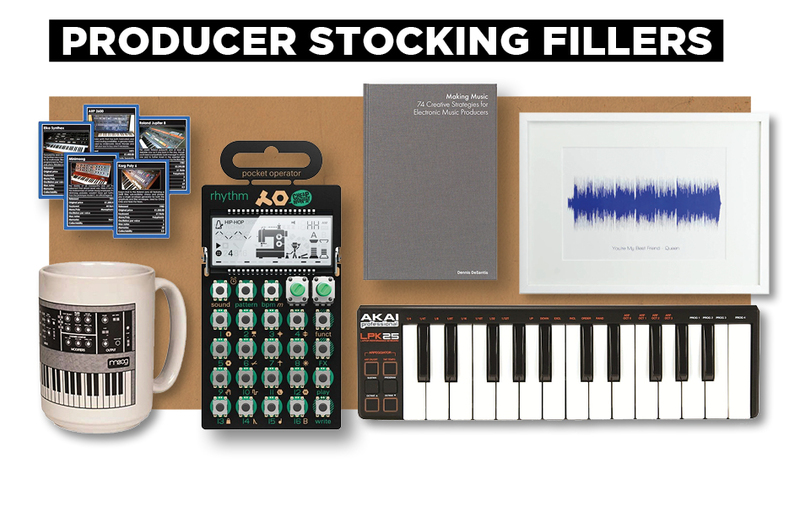 Get in on the quirky action with their Pocket Operators that come in the form of bass synths, drum machines, lead synths and more. Created by Dennis De Santis, this book is designed to help music makers of all skill levels and types to stay creative in the studio and avoid writer's block. Though it was designed for Ableton, it's for users of all softwares and instruments. Who will win when a Pro-One takes on a DX7? There's only one very specific way to find out. A comprehensive book by the guys behind Attack Magazine, The Secrets of Dance Music Production is packed full of tips, techniques and tutorials on how to mix and produce like the pros. It also comes with a load of downloadable content so you can play along. Get the visual version of your favourite dancefloor banger printed up as a poster with this quirky concept. Perfect for some studio inspiration – you'll never need to ask 'Where's the drop?' again. This pro turntable got rave reviews when it first came out this year and is a great alternative to some of the more expensive models on the market. It's no secret that it's styled on the classic 1210 so if you, your son or daughter or other half are on the look out for a solid turntable, it's a great shout. An excellent entry-level point into digital DJing for any beginner or afterparty aficionado. Designed for Serato DJ, it's got all you need to start mixing and start your road to DJ dominance. One of the most popular DJ headphones out there – even if your loved one already has a pair, it's always handy to have a spare. The latest version of Traktor Kontrol S2 strips it back to the bare minimum, offering two-channel control and new Mixer FX control per channel. A luxury house party controller. Allen & Heath's entry-level two channel mixer recently won our Tech Award for Best Mixer Under £600. It's half that, in fact and is perfect for anyone who's looking for quality audio and simple features. No FX, but apart from that it's a great option. The yellow cones of KRK are a home DJ setup staple – bassy, tight and loud, the Rokit 6s are a solid option and can double up in the studio. If your budget doesn't stretch, even the 5s and 4s will mostly do the job. Serato's latest software update brought with it DJ Suite. Having removed the need for external hardware with this latest version, the long-running DJ software continues to evolve. AIAIAI came into the market with a storm at launch, and continue to evolve – these TMA-DJs are a quality choice for any DJ style. They're not bad for making music either, though the TMA-Studios would be an even better shout for that. A cheaper alternative to Pioneer DJ's Technics clone PLX-1000. An excellent choice for home and DJ use, at a great price. It's even got USB for quick ripping of records. Lovely. Live 10 saw the behemoth DAW come of age, with refined plugins and more pro features added. 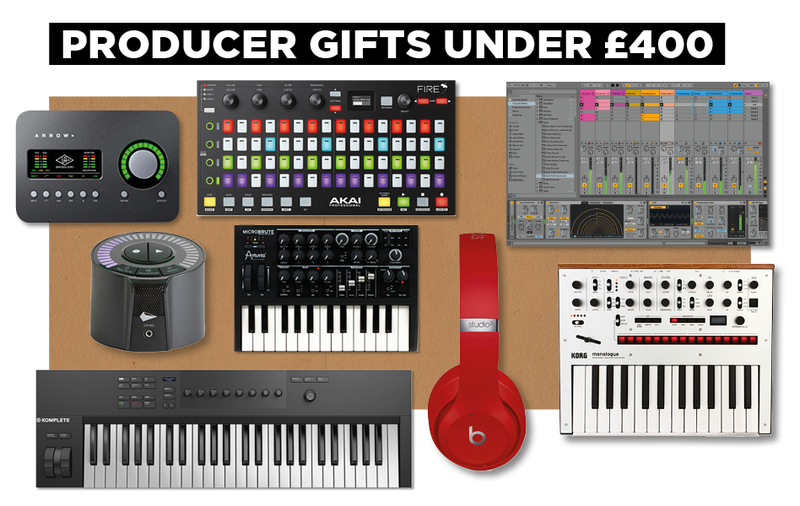 It's still arguably the best shout for making electronic music – upgrade price is even cheaper so maybe check first with the person you're buying for what version they're on. The first and only dedicated controller for FL Studio was released earlier this year from Akai. It's a tidy unit with built-in sequencer control and assignable knobs. For the Fruity among us. Having launched their uber fancy Komplete Kontrol S-Series keyboards in 2017, NI have released some affordable alternatives for direct control of their Komplete range. They might not have the fancy light guide or screens but they still auto-map to all things NI. ADAM have long been hailed as some of the best monitors around, and they've finally been made available to those of us on a budget with the new T5Vs. Already reeling in rave reviews, these are a great upgrade option for both DJ setups and studio sessions. While we're not overly keen on wireless in the studio – it can often introduce latency and quality issues – Apple's BEATS boast noise cancelling technology as well as the W1 chip for better Bluetooth stability. There's also Siri functionality to answer calls and skip tracks as well as 'real-time audio calibration to preserve a premium listening experience'. Fancy. iZotope's new hardware unit is a unique multi-track recording solution. Hidden inside a small portable device is a full studio with guitar and bass amp simulations, effects, reverbs and multi-track editing, all via a phone or tablet device. It'll also set your levels for you automatically so you can just plug right in and start making music. The mono version of Korg's popular Minilogue, this one even feature presets made by Aphex Twin! The sequencer is great, the sound is excellent and it's all pure analogue. A quality mono option for a good price. The cheapest way to get UAD plugins into your life, the Arrow is a simple 2-in 2-out interface that comes with some basic DSP to get your UAD plugins rolling. They're some of the best on the market so if you wanna step up your game – or want to treat someone to next level quality – this is where you start. Arturia hit a homerun with the Minibrute, and this is the smaller but no less feisty alternative. With some extra patch points for menacing modulation, don't let the size fool you – this thing is a beast. Re-creating everything from the classic D50 and Jupiter-8 to the 808, 909 and SH-101, Roland have revived their retro catalogue and made them much smaller in the process. There's no studio in the world that wouldn't benefit from a few of these. Arturia's mammoth software collection continues to grow – this a one-stop shop for virtual studio synth solutions. Even if you missed the recent Black Friday 50% deal, at just over £200 it's still a bargain. Pro-ject have long been known for their high-quality home listening turntables and the Primary E is a super affordable way to get onto the Pro-ject ladder. There's no pitch faders here so don't expect to be mixing any tracks, but as a listening turntable, it's a top solution. Bookshelf speakers are under-rated, usually because their size. But the Q-Acoustics pack a punch and can sit flush on your shelves or desktop with minimal fuss. A wide ranging sound makes them suitable for all music types. Enter the SONOS realm for only two hundred bucks with the One speaker. Although they've got a lot more competition these days than a few years ago, SONOS are still a great home audio listening solution and as you might expect, this can be integrated into an existing setup, or chained as you SONOS collection grows. A flexible speaker solution with DAB radio, WiFi connectivity, bluetooth and aux inputs as well as a handy app to control it all remotely. Hey, the sound ain't bad either. Although Siri might be the smartest of all our new smart friends, HomePod's sound is by far the best of the smart speaker crew. You pay the price for it, but you hear it in the quality. For mobile producers or fussy audiophiles, the iPhone and laptop converters sometimes don't cut it. This portable digital-to-analogue converter bypasses the Apple (other brands are available) conversion and takes things up a notch to give better clarity and depth to your sound. Excessive for some, vital for others. If your better half is still on a 3310 and leans towards the audiophile spectrum (niche, we know), the Shanling M0 is probably for them. It's a portable lossless music device with excellent converters and supports high-quality wireless audio transmission via Bluetooth aptX. If you've ever zoned out listening to them talk about fidelity, this should keep them occupied while you and the family get your new Alexa to tell jokes. Pioneer DJ's live sequencing and sampling unit has been something of a hit – it now is the central hub behind live shows and creative DJ sets around the world. The sequencer is super effective, the built-in samples are really strong and the ability to sync it with a CDJ or Pro Link-compatible unit is the cherry on top. Great in the studio, too. Those cheeky upstarts at Denon DJ continue to make waves with their Prime range – the first big splash came in the form of the SC5000 and the X1000 mixer. Now reduced in price til the end of the year – hurry! – it's quickly becoming a regular on tech riders the world over for its dual audio outs, fast analysis and high-quality touch screen. Turntablists and battle DJs are falling in love with the Seventy Two and it's not hard to see why. With loads of performance pads and a fancy touch screen, you won't need to look at the laptop screen again. Ableton's much-loved controller – or instrument, as they'd call it – is a super flexible and highly-addictive way to get the most out of Live, without looking at your laptop. Everything from sequencing, sample editing and macro control is all possible from the well-built unit. We wouldn't say it's vital for Ableton users, but it's close. 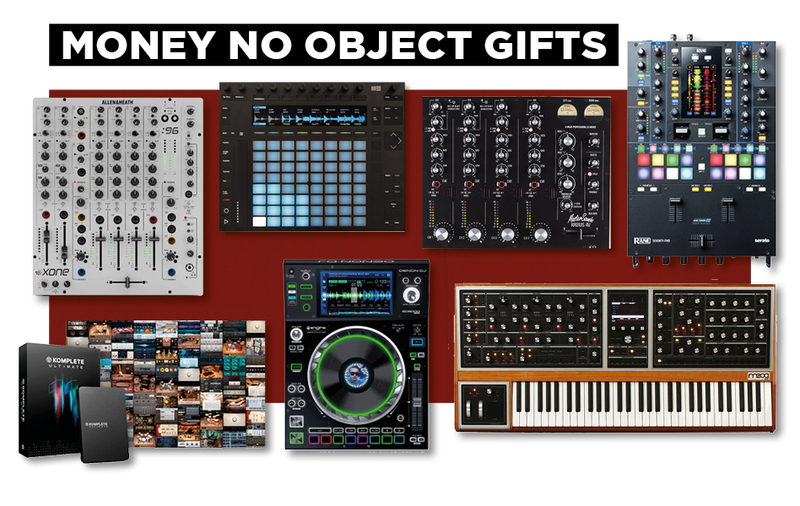 Native Instruments' uber bundle is a producer's dream, featuring everything from a multi-sampled Nils Fraham piano to full versions of Kontakt, Reaktor, Massive, mixing tools, expansion packs, samples and much, much, (much) more. You might need a few extra hard drives, but once you have this, you're unlikely to ever need anything else. Akai Pro's latest flagship MPC is a studio in a box, with no laptop in sight. Capable of creating whole tracks from scratch as well as sending MIDI, recording audio, sampling and much more, it's a fitting update to the legendary line of music production centres. Well, if we're gonna dream why not stick these in here? Ten grand might seem like a lot for a pair of speakers but they're the centre piece of the studio for artists and producers like Boys Noize, Butch Vig and P Diddy. 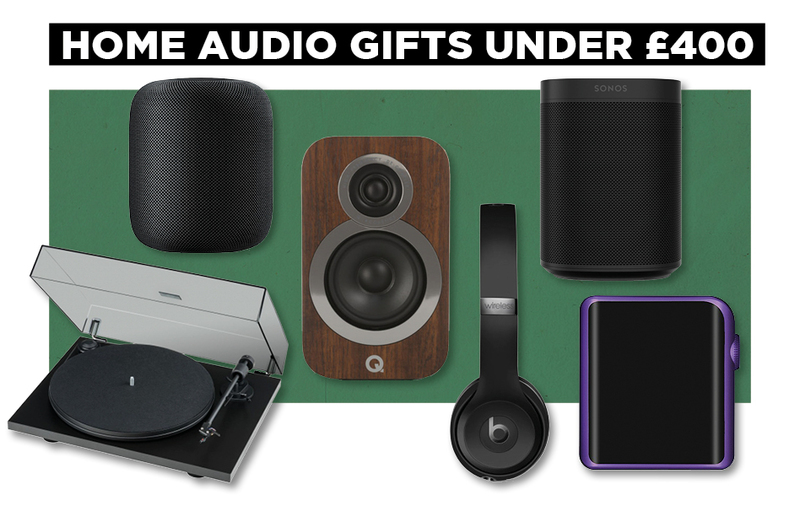 A wonderfully rounded speaker with huge sub capabilities and an expansive sound – you'd have to really love someone to pick these up for them. But, damn. Moog recently announced their first fully poly synth the Moog One to huge acclaim and joy – until we saw the price. That's the cost of quality though. It's a certified beast with all the lovely Moog qualities you'd expect coupled with endless sound shaping control. We want One. The latest update to A&H's somewhat-standard the Xone:92, the :96 adds new saturation control, adds dual USB and a 3.5mm audio sync output for using the unit with any compatible clock. It's so good, it won our Best Club Mixer a the DJ Mag Tech Awards 2018. A favourite of the DJ Mag squad, MasterSounds have gone for style and substance in their latest rotary mixer. A truly liquid sound, smooth controls and a solid build, it may seem expensive but once you hear it, it'll all make sense.